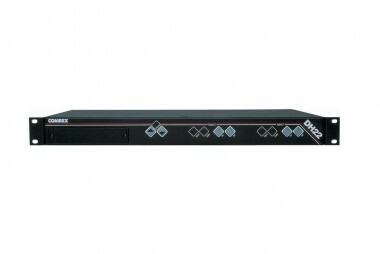 The DH22 are high quality single-line and dual-line telephone interfaces, designed to interconnect a standard telephone line and your audio equipment, allowing you the ability to send audio to and receive audio from a connected telephone line. The DH22 are ideal when the very best audio quality is required for talk shows, news feeds, production, recording studios, and internet applications. Our newest DSP technology delivers better and more reliable sound quality. The DH22 deliver the deepest and most stable hybrid null, ensuring maximum isolation between the send and caller audio. That means no echo and no "bottom of the barrel" sound. In addition, we've added selectable automatic gain control (AGC) and caller ducking. With AGC, each call will be delivered to your equipment at the same level. Caller ducking reduces the caller's audio level when the announcer speaks, providing a more "controlled" environment. We've also added a speaker amplifier so you can connect a speaker directly to the unit and monitor callers without headphones.